The iconic British brand, Ghost is behind a number of classic fragrances with their most well known being Deep Night which comes in a gorgeous moon crescent bottle. 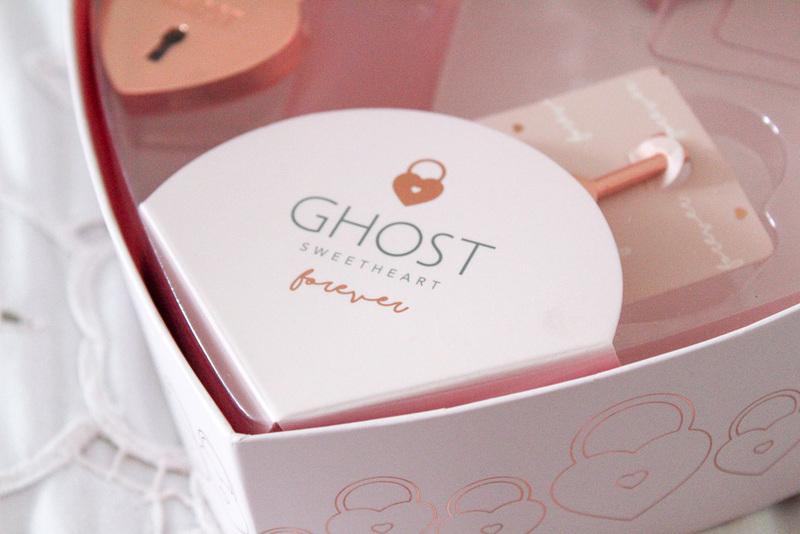 Sweetheart Forever was first released in 2008, the surprisingly fresh fragrance gives alluring notes of fruity cassis mixed with oriental notes to deliver a really unique scent, it's quite special. The perfume holds top notes of cassis, lychee and orange heart with heart notes of rose and white flower finishing with base notes of patchouli, vanilla and wood. The mix of sweet and wood makes for an interesting scent and a pretty treat for the senses. This looks fab - I love the packaging. 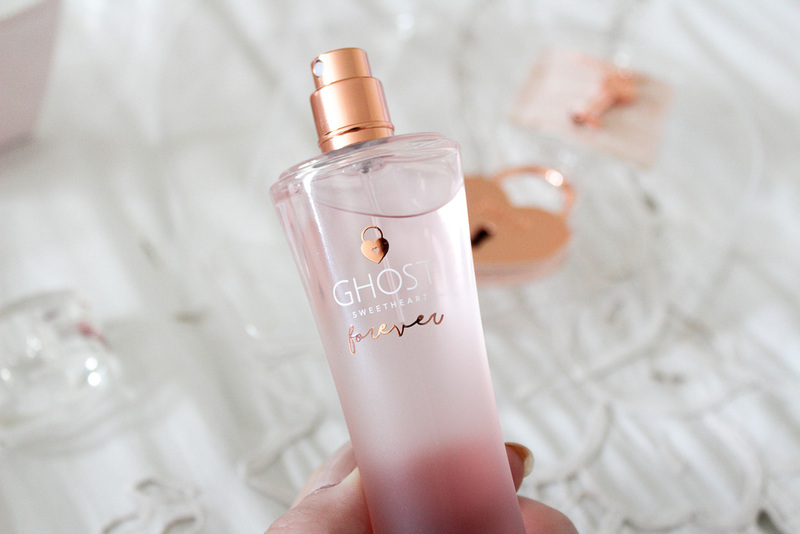 I’ve never tried any of the Ghost perfumes so need to change that! 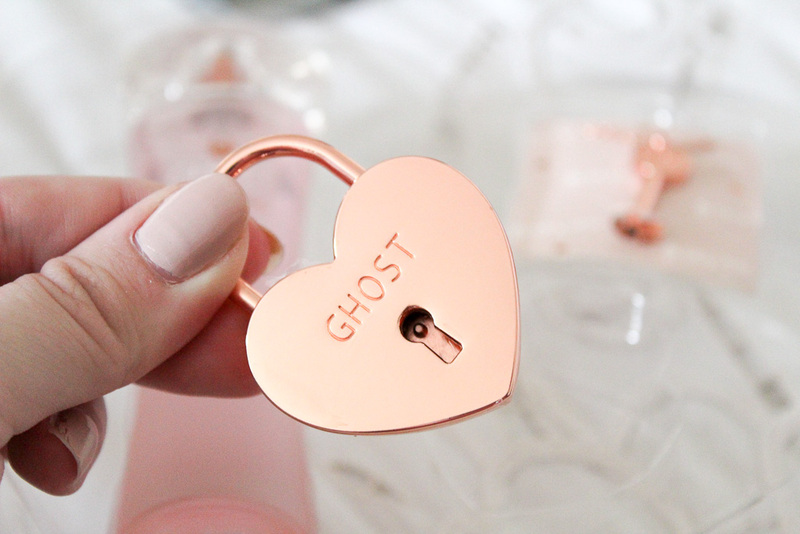 Such an affordable perfume & this would be gorgeous for Valentines Day! You don’t realise how much I need this scent in my life. First of all, packaging goals! Wow it sounds amazing!! Aww this sounds like such a sweet scent! 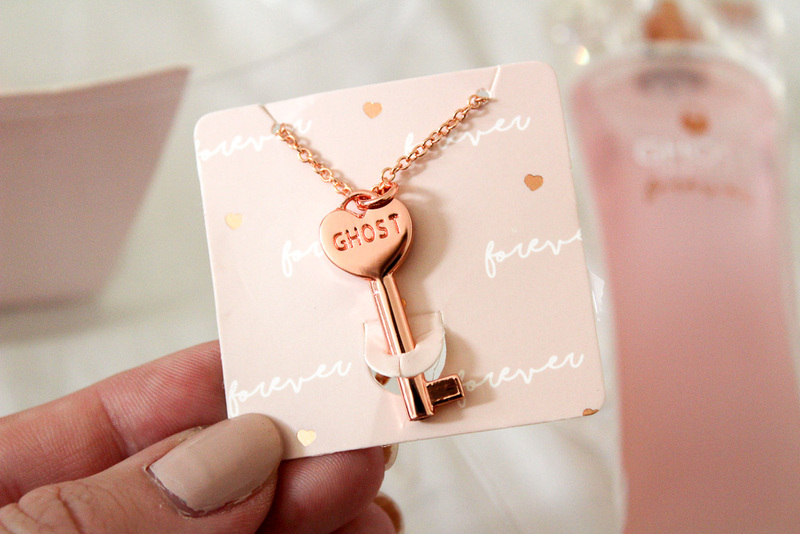 This is such a cute set and I love the rose gold heart key! A lovely gift idea. This would make such a lovely gift! It is such a pretty bottle and box!